Death has no power over the strongest servants of the Great Necromancer. Permeated by amethyst magic, they regenerate themselves in their coffin, carried and supplied with the energies of death by the horrible coach from the underworlds. 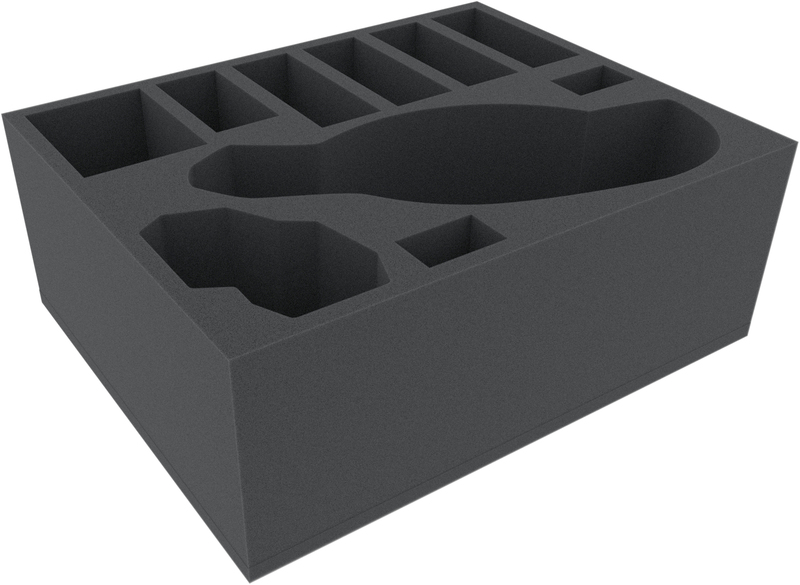 Our Full-Size foam tray doesn't feed your models with souls, but ensures that these fragile miniatures will remain intact. The Black Coach gets 4 compartments on this mat. 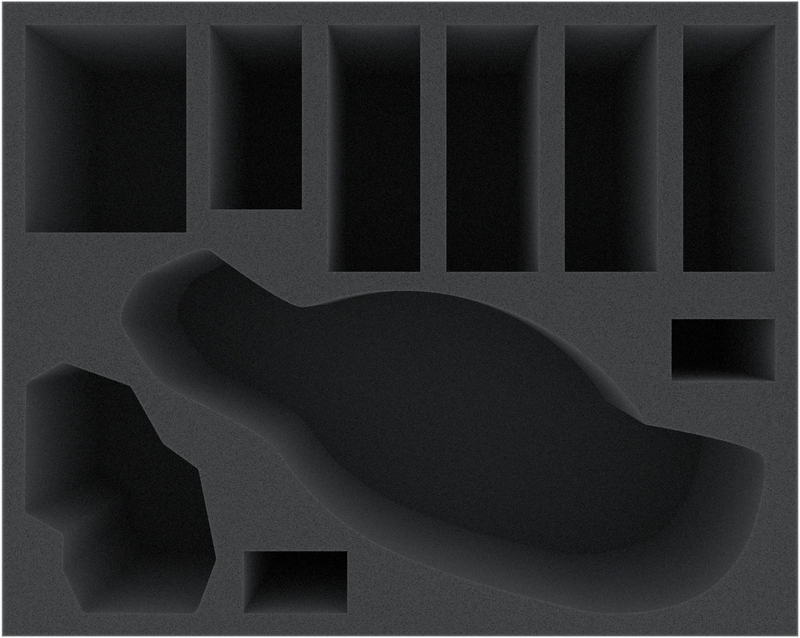 The funerary carriage, pulled by the four Nightmares, fits exactly into the large, tailor-made compartment. 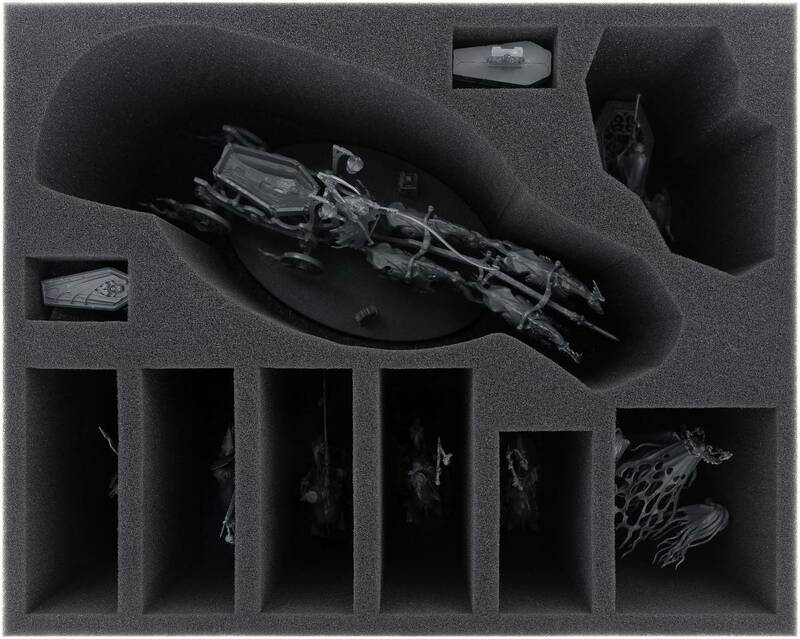 Since we want you to decide whether to glue everything together, we have created an additional compartment for the canopy with the three Relic Bearers and two for the sarcophagus (lid and coffin with vampire). If you want to place the coach as a whole - with glued canopy and sarcophagus - no problem, the compartment and the tray are measured large enough for this. What would a procession be without mourners? And she is the manifestation of sorrow and despair: Lady Olynder. The miniature itself is another filigree masterpiece from Games Workshop. To make sure that she remains unharmed, we also have a compartment for the Unrequited Queen on this mat. Surrounded by foam, the bridal train, headdress and their two Banshee Handmaidens are well protected. So that the Mortach of Grief can always remain beating the Nighthaunt's enemies with hopelessness. 5 further compartments are reserved for the Hexwraiths on their ghostly steeds. Thereby, the Black Knights are also optimally protected from damage to ride on spreading death and pain upon their enemies.